It proved a sobering return for Theo Walcott on his swift return to the Emirates with new club Everton, as former club Arsenal ran out embarrassingly easy winners in a one-sided contest. Aaron Ramsey was the nominal star of the show, netting the first hat-trick of his senior career, but Arsene Wenger will have been encouraged by the excellent displays of new boys Pierre-Emerick Aubameyang, who scored on debut, and Henrikh Mkhitaryan. Everton, 4-0 down at half-time and branded “pathetic” by manager Sam Allardyce, recovered minimal consolation through the second-half strike of Dominic Calvert-Lewin. 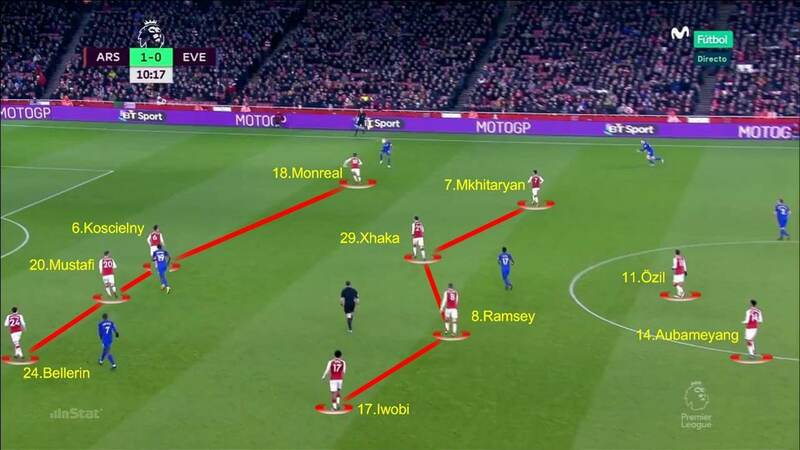 Arsenal started in a 4-2-3-1 formation, switching to 4-4-1-1 in defence – Henrikh Mkhitaryan and Alex Iwobi dropping back alongside Aaron Ramsey and Granit Xhaka in midfield – with a medium block and zonal marking. The frontline of Pierre-Emerick Aubameyang and Mesut Ozil had no need to press hard because Everton’s aim was always to play directly into their forwards in the opposition half. Arsene Wenger formed two solid banks of four and successfully stopped the visitors from advancing too far up the pitch. 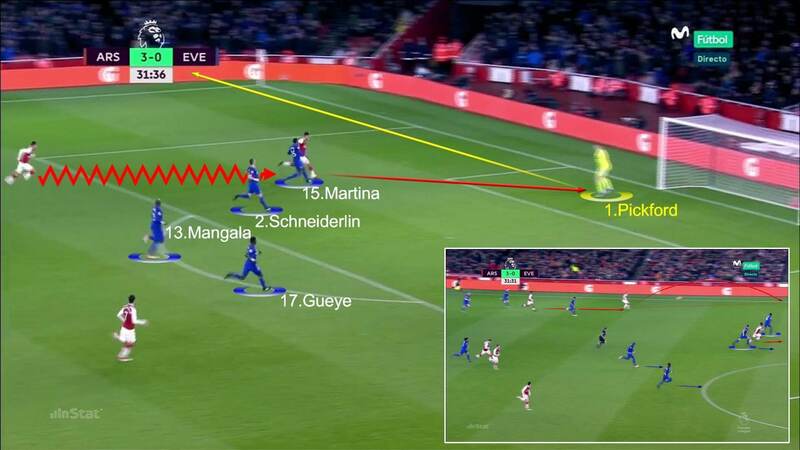 The Arsenal midfielders pressed the player in possession, and the speed of their defenders in the tackle or at interceptions severely reduced Everton’s attacking options. The defence faced little threat, with Laurent Koscielny and Shkodran Mustafi ably supported by Hector Bellerin and Nacho Montreal at full-back. 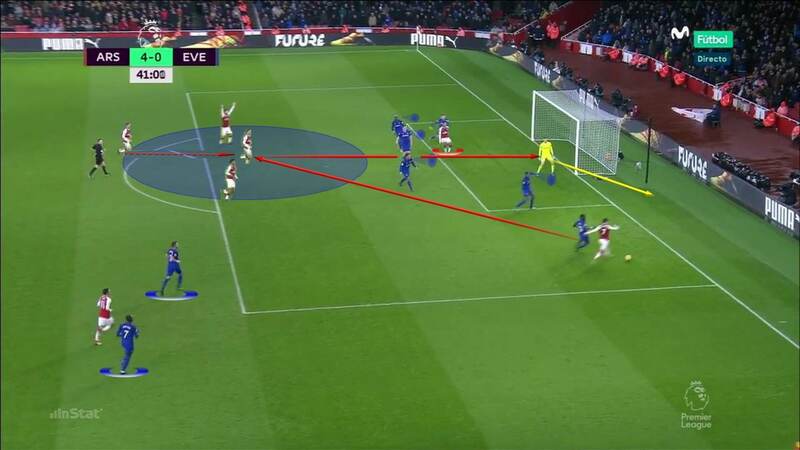 Arsenal used combination play without taking too many risks, remaining careful not to lose the ball in dangerous areas while maintaining the attacking intent required to threaten the defence. The positioning of January signing Mkhitaryan in between the lines, along with his connection to hat-trick hero Aaron Ramsey, was the decisive factor in the home side’s dominant first-half display. Mkhitaryan was the standout player for the hosts, supplying his new teammates with opportunities to run in behind, or with through balls into promising positions in the penalty area. In the final third, the Gunners tore the visitors’ defensive shape apart. Aubameyang easily found free spaces both on and off the ball, which caused the opposition centre-backs no end of trouble. Their tempo dropped once they were 4-0 up in the second half, but they never lost control of the match. 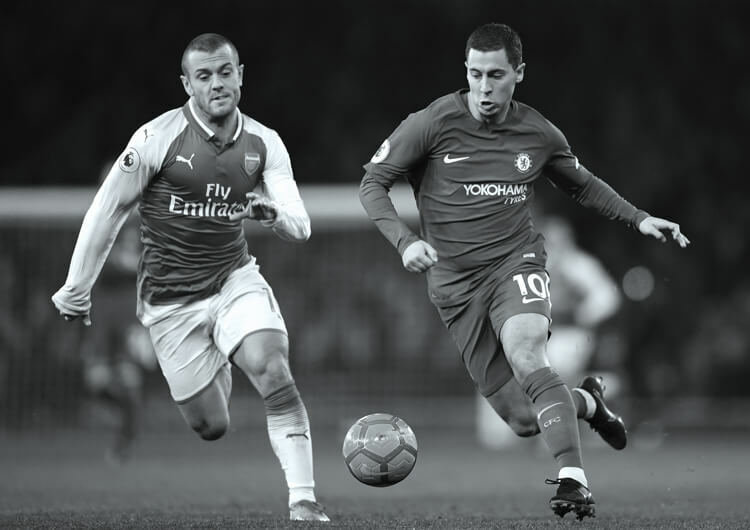 On the counter-attack, Arsenal looked for the runs of their quickest players, whether it was Mkhitaryan and Ozil with the ball or Aubameyang off the ball, with the aim of making the most of the many gaps in the dismal Everton defence. 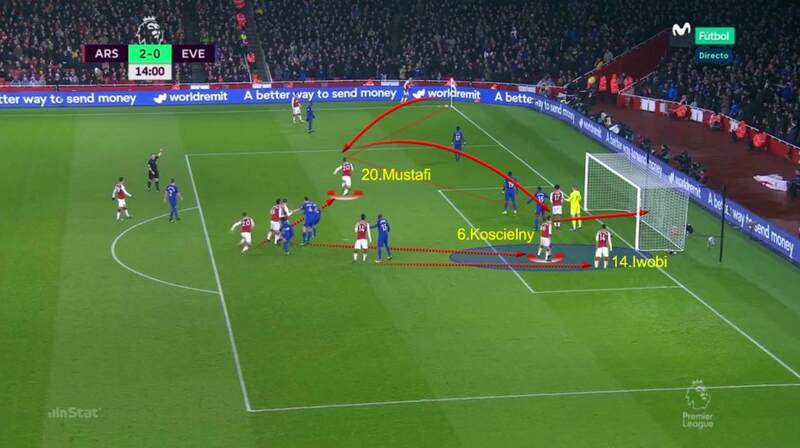 Arsenal started in a 4-2-3-1 formation, switching to 4-4-1-1 in defence, with a medium block and zonal marking. They defended deep enough to avoid imbalance between their defensive lines and to outnumber Everton around the ball. 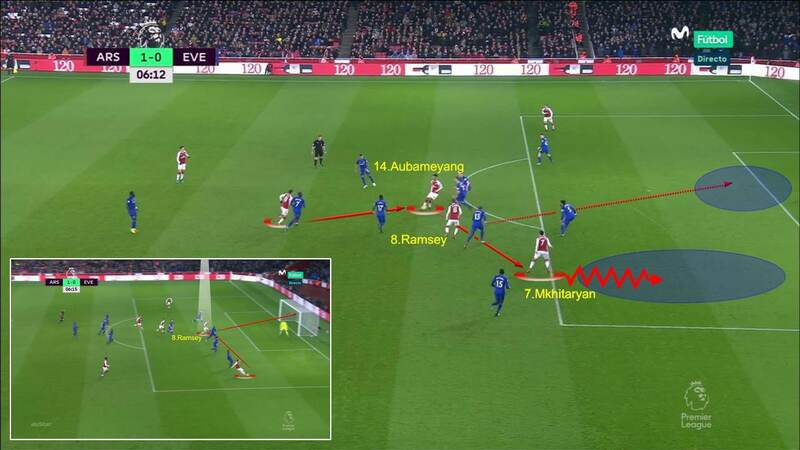 The attacking movement of Mesut Ozil, Aaron Ramsey and Henrikh Mkhitaryan caught the Everton defence by surprise. They destabilised the visiting back line with their supporting runs and breaks and constantly exploited space inside the area – as seen here in the opening goal. 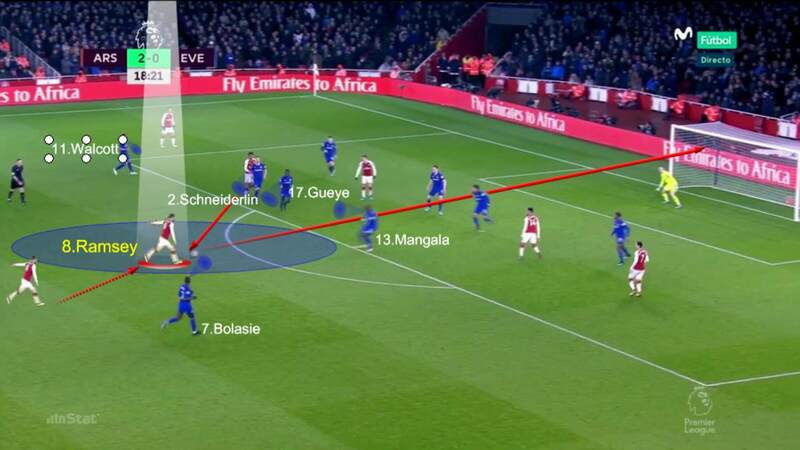 Arsenal’s defensive shape easily dealt with Everton’s direct approach. 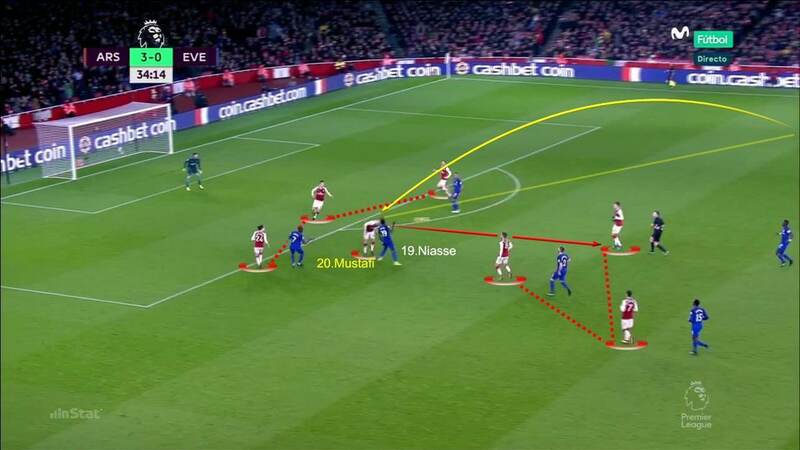 Their two banks of four sandwiched the man on the ball, with Shkodran Mustafi tasked with marking Oumar Niasse while his teammates covered. Mkhitaryan repeatedly found space in behind the Everton midfield, who gave the man in possession too much freedom to find him. From there, the Armenian was able to set up numerous attacks – such as this one, which led to Pierre-Emerick Aubameyang scoring Arsenal’s fourth. Arsenal made the most of Everton’s passive defending at corners. Here, Mustafi escapes his marker at the front post, and is able to flick on for Laurent Koscielny to get Arsenal’s second. Everton’s starting formation was 5-4-1, with three centre-backs and two wing-backs who tried to get forward. Sam Allardyce’s side was overrun in defence, due to the lack of co-ordination between their midfield and defensive lines. 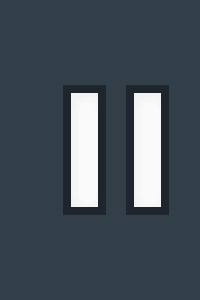 Plentiful gaps were easily exploited by the hosts. 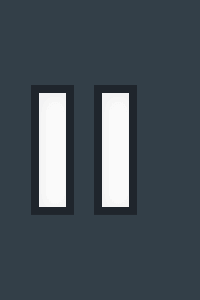 The last line of the Everton defence lost its structure when facing crosses into the box. Despite their numerical advantage, the Toffees failed to mark the correct shooting positions – in particular the edge of the penalty area, which invited late runs. In defensive transition, Everton repeatedly failed to hold up the Arsenal counter-attack. Aubameyang enjoyed huge amounts of space to attack – as here, when he beats two defenders to reach a good shooting position. The Everton defence lost their shape whenever Arsenal came near them. 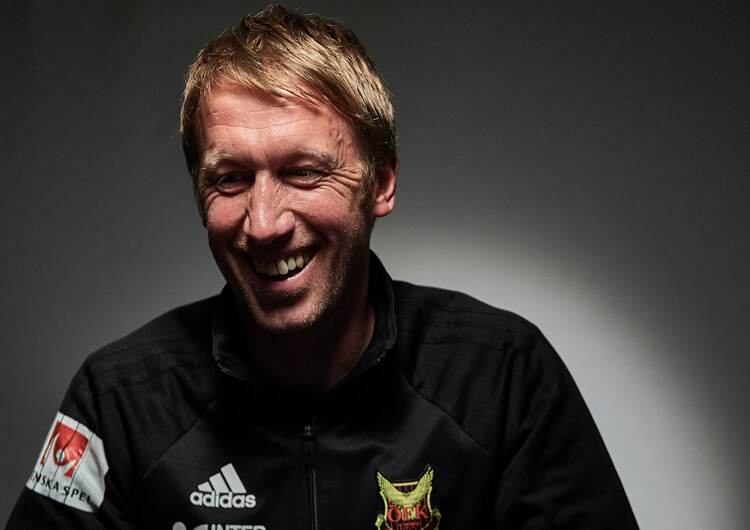 The midfielders dropped back too deep inside their own area, leaving space for their opponents to attempt mid-range shots from the edge of the 18-yard box. 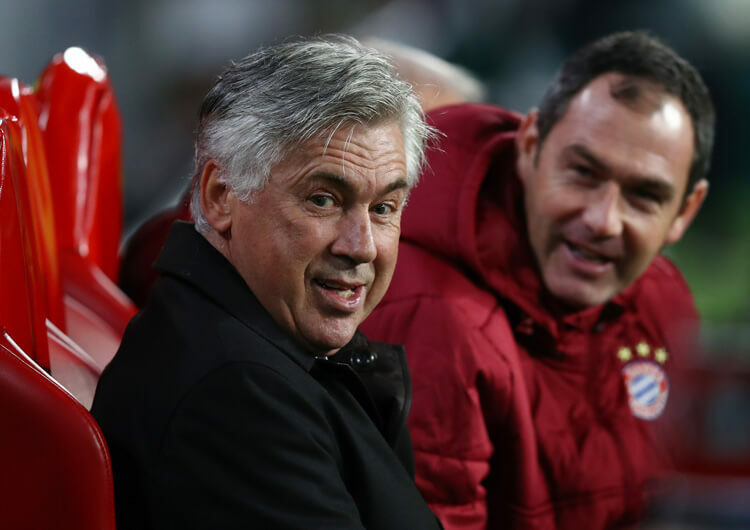 They struggled through a combination of excessively negative tactics and a lack of cohesion. Everton offered little threat before the arrivals of Tom Davies and Dominic Calvert-Lewin, when they were already 4-0 down. Here, Davies passes to Cuco Martina, who moves up the pitch for the first time in the match and manages to find Calvert-Lewin. The English forward gets in behind his marker to score a (small) consolation goal. Everton started in a 5-4-1, with three centre-backs and two wing-backs who tried to get forward to support the forward line. Sam Allardyce’s side was overrun in defence, however, due to the lack of co-ordination between their midfield and defensive lines.  This produced regular gaps in these intermediate areas, which the hosts easily exploited whenever they wanted. Oumar Niasse, supported by Theo Walcott and Yannick Bolasie out wide, struggled to put any real pressure on the Arsenal back four. Their central midfielders, Idrissa Gueye and Morgan Schneiderlin, never came to terms with the intense pressure from Mkhitaryan, Ozil and Ramsey, which led to gaps in between them and the defence. The three centre-backs, playing way too deep, left huge amounts of space on the edge of the penalty area for the Arsenal midfielders to take advantage with late runs into the box. Everton employed a direct approach despite struggling to make much progress in the opposition half. Jordan Pickford tried to find Niasse near the penalty area with long goal-kicks, but an organised home defence had few problems. In the first half, the visiting attackers failed to trouble the last line of Arsenal defenders. 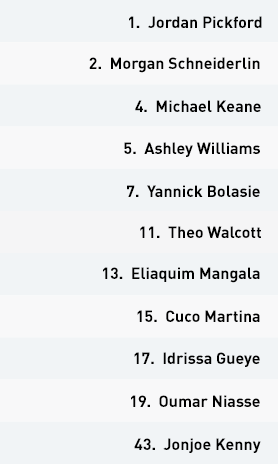 Walcott, who came off for Dominic Calvert-Lewin on the hour, caused the greatest threat with his penetrating runs, but Nacho Monreal and Laurent Koscielny handled him well. Niasse lacked the necessary support from out wide or in behind to pose a threat, although after the arrivals of Calvert-Lewin and Tom Davies in the second half, Everton did make some progress down the wings. Their consolation goal, scored by Calvert-Lewin, came from a Cuco Martina cross. Finally, Everton lacked both accuracy and organisation on the counter-attack. Walcott was their best player in these situations, but he struggled for support and with his decision-making in front of goal. 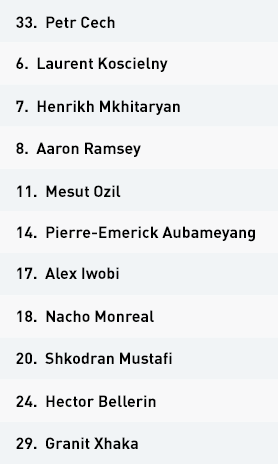 Arsenal played to a high tempo. 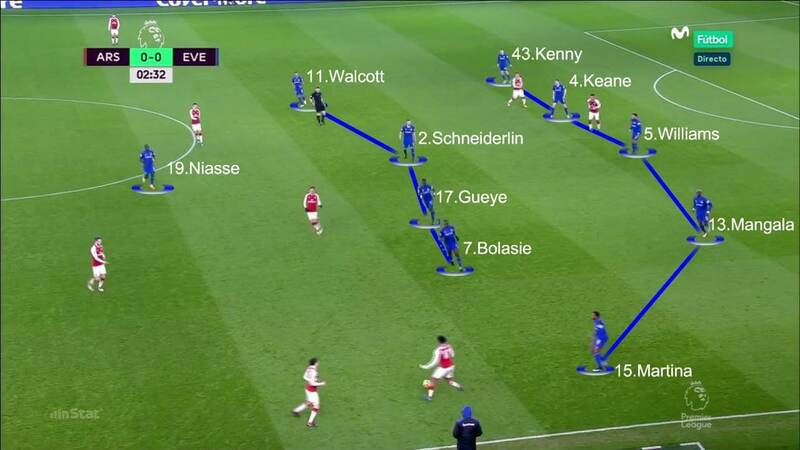 Arsenal Wenger’s side deployed quickfire combination play in the opposition half and repeatedly caught the Everton defenders by surprise. 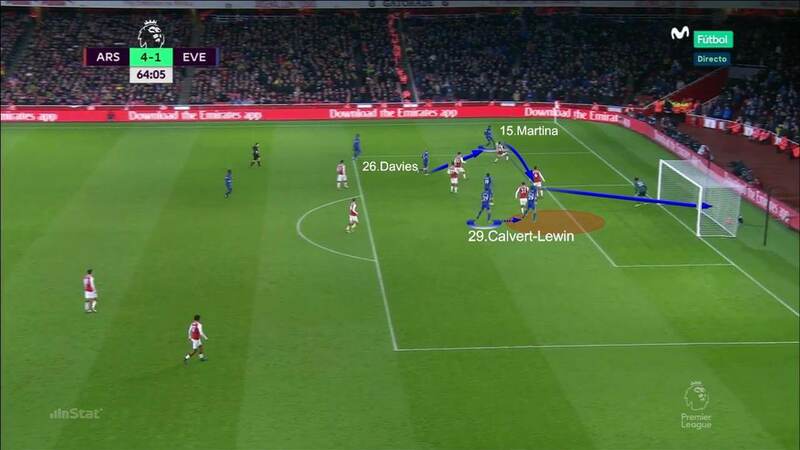 The Gunners pressed Everton intensively whenever they lost the ball, forcing them to go long. Their defensive organisation worked to easily neutralise any potential counter-attacks. 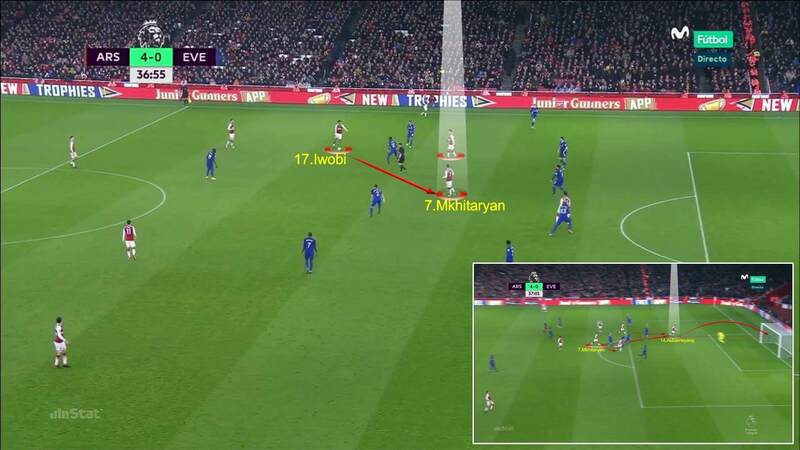 The Arsenal midfield and forwards took up excellent positions in attack, to generate a numerical advantage in behind the Everton midfield. Mesut Ozil, Aaron Ramsey and Henrikh Mkhitaryan were the chief threats, with the latter two central to the winning margin. Everton often left gaps inside their own penalty area. Sam Allardyce’s experiment with three at the back failed to solve their defensive problems. Arsenal got the better of the Everton defence for large parts of the game. 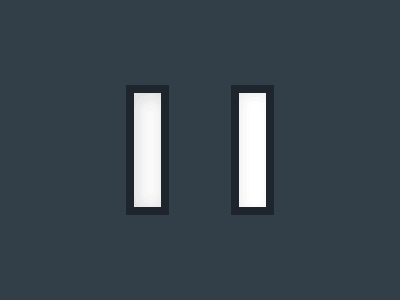 The visitors demonstrated excessively negative tactics and a lack of cohesion.